Our app for this project is Smart Closet. Here are the android phone and tablet wireframes for it. We usually enter a status on Facebook or a tweet on twitter and never look at it again. This app makes you look at such forgotten messages/posts and brings them back to your feed.Record what you do everyday in a couple of lines, like a twitter post or Facebook status. The app then picks out your messages every day from the last few months/years, refreshing your memory of what your thoughts were or what you were doing months back on the same date. 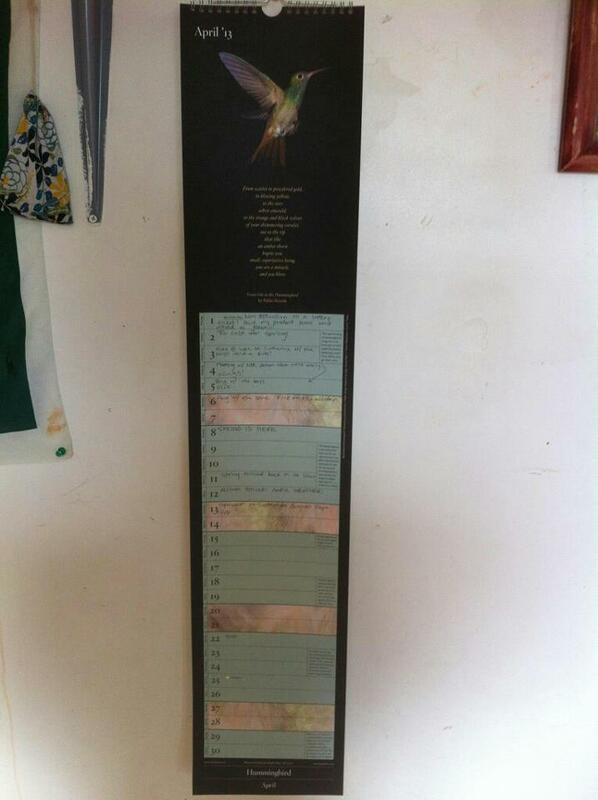 So on the 20th of a month you enter a message/post and you also get (in your feed) to see your posts on the 20th of all previous months. Once you enter a post you can’t look at it again until the next month. A lot of times we have troubles figuring out what book to read next or what movie to watch based on our likes and dislikes. This app helps you make a collection of books & movies that you are interested in, helps you search for places where you can find this media (online or physical stores). 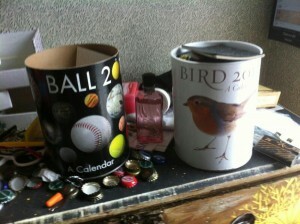 Follow people and their collections, what they are reading/watching. Give reviews to books and movies. Browsing through popular and new favorite books and movies could be one of the main features of the application that helps you look for stuff that you are interested in. Also including different categories, genres and other filter options. It is always a trouble deciding what to wear every single day after your shower. Everyone wastes at least 10 minutes deciding what to wear. Maybe we should have an app for that. 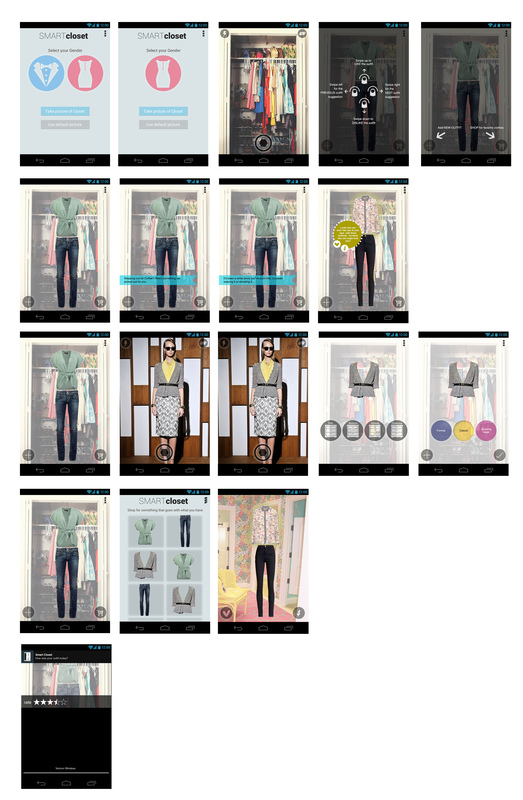 An app that has all your clothes saved digitally, or you can take pictures and add your clothes in your account. It randomly creates an outfit for you for the day. Putting together combinations of bottoms, tops, outerwear, shoes etc based also on the the weather outside. The app will also ask you if that outfit worked out for you today and you can rate the outfit. This way the app gets smarter and suggests outfits that you like and also based on the weather outside. Here’s my final presentation for today. 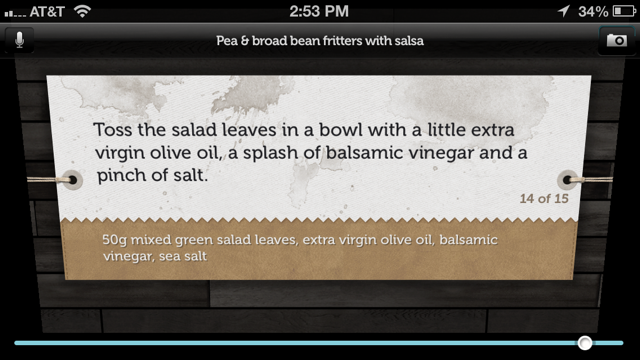 The Jamie Oliver app. 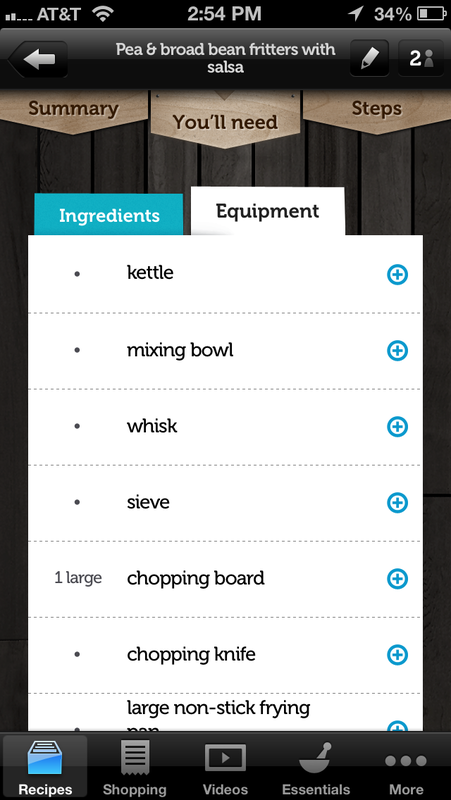 Shows you all steps to make a recipe, the equipement and ingredients you would need to make the dish. Related videos on the skills required to make the dish (for example: knife cutting skills). High resolution images to show the step by step procedure. 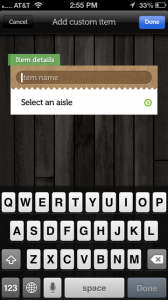 Ability to add items you require for the recipe to your shopping list. 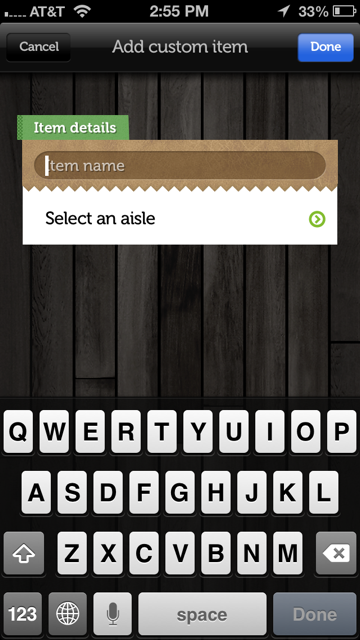 Shopping list has an ‘aisle-system’ to choose items from. It’s pretty cool but might be loaded with a lot of features.. So you want to try out some Indian cuisine but don’t have somebody Indian to accompany you. You aren’t sure what to order and you don’t even want to look foolish. Cuisine Art will you look like a Indian! This app will suggest people what to eat based on their taste buds. And yet the best authentic dish possible. So say you want to try something that’s not so spicy yet authentic so you just tell the app that and you have a list of dishes in front of you. 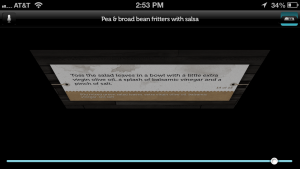 The app will also suggest what drink to pair that dish with along with a dessert or an appetizer. Still worried about How to eat that stuff? 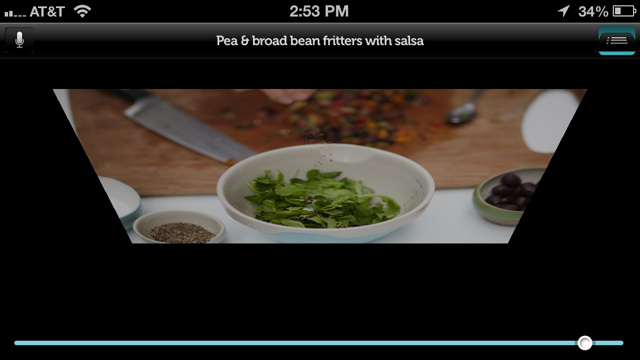 Cuisine art will show you a demo video. Now you’re a pro at eating Indian food. Usually when you talk to a new friend or a new date one of the questions that pop up in the first few conversations is, “So what kind of food do you like?” hoping to get along or at least have a couple of more interesting conversations based on common food interests. FoodParty has groups where people meet based on common food interests. 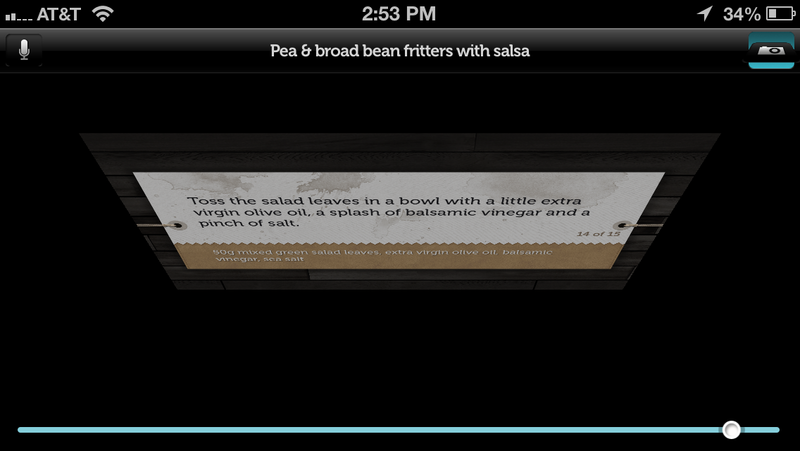 It gives users the ability to chat and get along over a couple of food conversations. 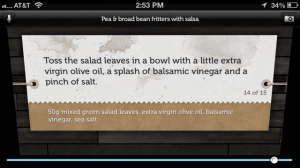 Once the users have spoken to each other they can create food events, potlucks, food parties, or even go on dates etc. A new way to socialize and make new friends! For people for whom food is not a priority in their lives. For people who are so busy with work or school they completely forget they were supposed to eat two hours back and find themselves starving but stuck in the middle of work and have to make do with a cup of coffee or an apple lying in their bag. So guess what the app FoodAlarm does? That’s right, it reminds you to eat your food on time. Like a nagging mother or a nagging wife it is after your life to eat your food and to eat it on time.